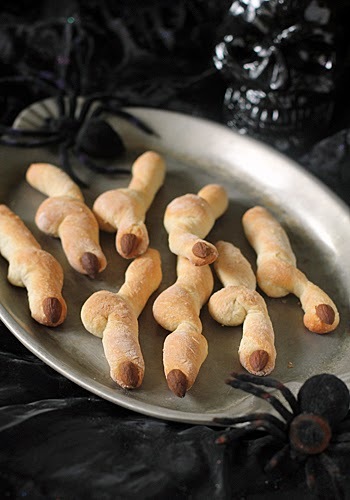 Halloween is this week and with three children, I am always looking for something fun to put in their lunch boxes or to have as an after school snack to get them in the mood for ghouls and goblins. I made these last week and when my youngest came home she said, "Ooh, FINGERS! Can I have one now?" She then proceeded to munch on one with great delight. They are crispy and crunchy with a nutty end. Eat them as they are or serve them with a favorite dip. I use the no-knead dough for the country bread. For eight breadsticks, you will only need 8-ounces of dough. That is approximately 1/6 of the entire batch of dough. 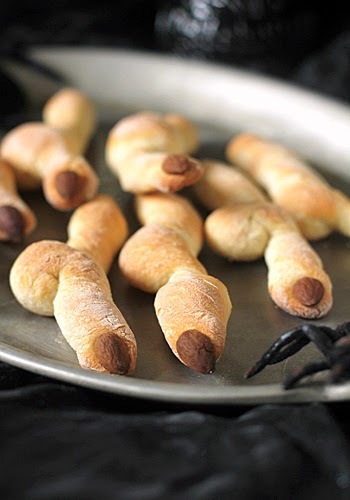 If you are making them for a party, you could certainly make more. I made just eight and saved the rest of the dough in the refrigerator for a smaller loaf of country bread for our Sunday spaghetti dinner. The dough is easiest to work with when it is cold, so once it has risen overnight, place it in the refrigerator. (You do not need to punch down or degas the dough at all). When ready to use, just pull or cut an 8-ounce portion from the batch and continue making the breadsticks. 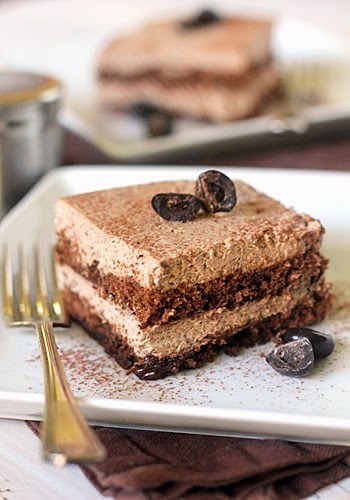 Luscious is the word I think of when I hear Tiramisù. The moist cake layers and their marscapone partners combine in a delicious, heavenly dance. It is a wonderful way to round out today's Sunday dinner featuring spaghetti and meatballs. I can't think of a better meal with the leaves falling and a chill wind blowing in the heart of Autumn. This version of the classic dessert is tweaked with the addition of chocolate-- never an unwelcome flavor in this household. Scene: Checkout line at the local market standing in line behind my neighbor. Neighbor: What are you making for dinner tonight? Neighbor: Really?? (her raised eyebrow said "But you aren't Jewish") Can I find that recipe on your blog? Me: No, not yet. I hope to blog about it soon. Neighbor: I hope in time for Hanukkah. My husband makes them for me, but they have too much moisture. 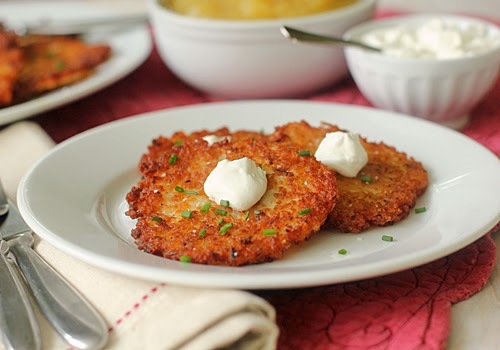 Well I am one that doesn't like to disappoint so, dear neighbor, here is the latke recipe for you. (And anyone else who would like to enjoy thin and crispy potato pancakes that are moist and tender on the inside). I use vegetable oil in lieu of corn oil because I always have it on hand. I also squeeze (wring) the potatoes dry in a kitchen towel to make sure that they are extra dry so that they crisp up nicely. I also use a tablespoon of cornstarch to thicken up any remaining moisture. This makes for a nice, tender interior. I then garnish with the last of the chopped fresh chives from the garden and serve with applesauce (I made a ton from our bounty of apple picking) and some sour cream. You can certainly serve them as a side dish to just about any meal, but we make a meal out of them with some leftover braised red cabbage from Sunday dinner. Now that I am going on my third year of sharing our Sunday dinner menus, I am going to run into menus where I have shared all of the recipes. Today is a good example. However, there is still one element to the dinner ingredient list that I can share. Crème fraîche is a soured cream. It is less sour than regular cream, thicker in consistency, and higher in fat. 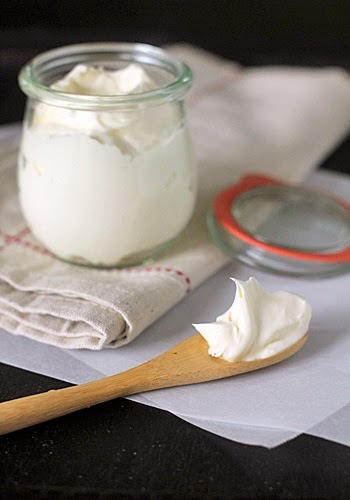 I can find crème fraîche in my local markets, but I realize that some of you may not be able to. Well, let me just climb up onto the "homemade" soapbox to tell you that this is a super simple recipe. All that it requires is some advanced planning so you can have it ready when needed and a little patience as it sours. The cooler the temperature in your kitchen, the longer the souring time. But once it finally thickens, you will be rewarded with some luscious and almost sweet soured cream to use in your favorite recipes. This time of year, sliced apples and caramel sauce are a favorite after school snack. I took my girls and a friend to Edwards Apple Orchard in Poplar Grove, IL to pick apples, eat apple cider donuts, and pick up some really good apple cider. With all of that bounty, I thought I would try a new recipe for caramel sauce that doubles down on the apple flavor. If you are one that has trouble making a traditional caramel sauce, then you will certainly want to try this one. There is no caramelizing the sugar so there is no risk of it crystallizing into a hard mess. 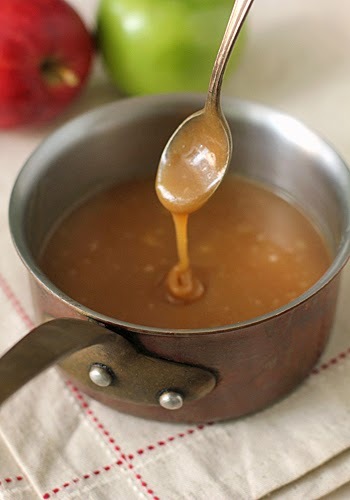 What separates this recipe from a regular caramel sauce is that you use a reduction of apple cider in lieu of water. Deep apple flavor and buttery caramel goodness?? I'll take some of that! It is wonderful for apple dunking, poured over ice cream, drizzled on top of a simple cake, or even stirred into your morning coffee for a sweet start to the day! It's that time of year when I get to choose the Sunday Dinner menu. Actually, I choose most of the Sunday menus, but this Sunday happens to precede my birthday (always nice to turn 21 again). You'll note that not much has change over the past three years when my birthday rolls around. In fact, the only thing that really changes on the menu is the appetizer and dessert. I promise that one of these years I will get to the Cassoulet. But it is very involved (I even make my own sausage) and I spend days prepping. So for now, I will keep it simple and share the appetizer. We enjoyed these little bite-sized cups a few weeks ago. They were so delicious that I wanted to make them again while the apples are at their peak. I changed up the original recipe a bit to suit my own tastes. The original recipe called for Asiago cheese in the dough and filling, but I chose to use a good aged White Cheddar, but just in the filling. I completely omitted the cheese from the dough. I also used apple cider vinegar in lieu of balsamic since there are apples in the recipe. I added some crème fraîche for richness and an egg as a binder. These adaptations made for a two bite cup of Fall goodness. Oh and I almost forgot... there's bacon in there too! 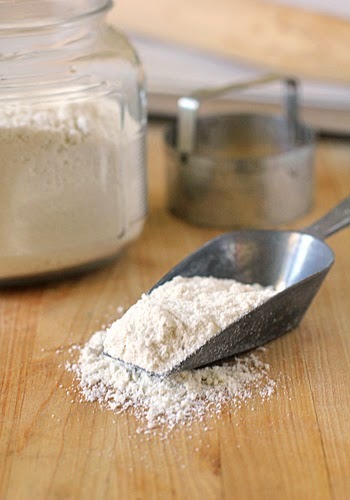 I certainly couldn't share the homemade Bisquick recipe without sharing a recipe that utilizes it. 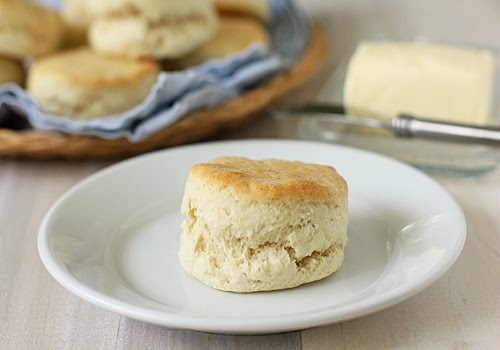 I have many biscuit recipes, but since I always have a batch of mix on hand, this one is my go-to. It is quick to prepare and great for those busy weeknights. When measuring out the mix, make sure you use the spoon and level method. You don't want to pack the mix into the measuring cup. That will make for tough and dry biscuits. Also, when you go to cut out the biscuits, use a straight up and down motion when cutting. Twisting and turning will prevent the biscuits from baking up tall and fluffy. They are wonderful warm from the oven unadorned, but I like to take it a step further and brush the tops of the biscuits with melted butter right when they come out of the oven. It adds a rich, buttery taste. Preheat oven to 450º F. Line a baking sheet with parchment paper; set aside. Place the mix and milk in a medium bowl and stir until a soft dough forms. Generously sprinkle the work surface with more homemade Bisquick mix. Knead lightly about 10 times. Roll the dough out to 1/2-inch thickness. Using a 2 1/2-inch cutter, cut out as many biscuits as you can. Gently re-roll scraps and cut out more biscuits. Place the biscuits on the prepared baking sheet and bake until golden brown, about 10-12 minutes. Remove the biscuits from the oven and brush the tops with the melted butter. Serve while warm. Enjoy! Do any of you have something weird that you are hanging on to for nostalgic reasons? Well I do--and it is weird. There is an empty box of Bisquick on top of the refrigerator in my garage. Told ya it was weird. As much as I try to go homemade when I can, I have to admit that Bisquick is good. I grew up on it. I think Mom used it at least three times a week if not more for biscuits, pancakes, waffles, dumplings, or shortcakes. A box of Bisquick on the counter was a good thing. When I first got married, I dutifully got on the Bisquick train. Once the kids started coming, I tried to make as much as I could from scratch to avoid preservatives and unnecessary ingredients. Bisquick was a tough one to let go of. 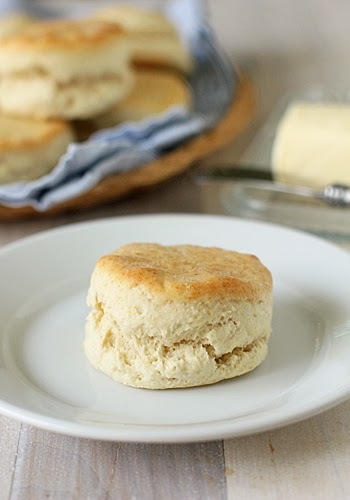 Fortunately, I came across a recipe for biscuits years ago that solved my "need a homemade Bisquick recipe" problem. I figured that if it could make biscuits, then it could make all those other tasty Bisquick recipes. And it does. I make a big batch and then keep it in an air-tight container in the refrigerator to use when needed. So if you are Bisquick lover, you'll appreciate this post. And if you are not familiar with Bisquick, I will be sharing some tasty recipes in the future. Each of my three children gets a birthday Sunday dinner and a birthday dinner on their actual birthday. Mabelle, my youngest child, is turning nine this coming week. Her two entrees this year are chicken-n-dumplings and steak. We're going with the former on this crisp October Sunday. We could not have a dinner tonight without something good to satisfy Mabelle's famous sweet tooth. This brown sugar tart should take care of the back end of the meal quite nicely. 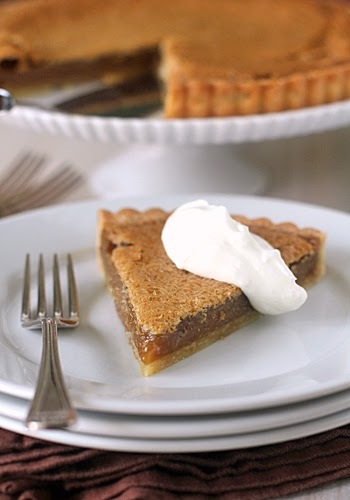 Brown sugar pie (I just put it in tart form) is a well known Southern dessert. It's simple, but rich in color and flavor. As it bakes, it puffs up. Once cooled to room temperature, it falls slightly and the filling hardens into a crisp, meringue-like layer. 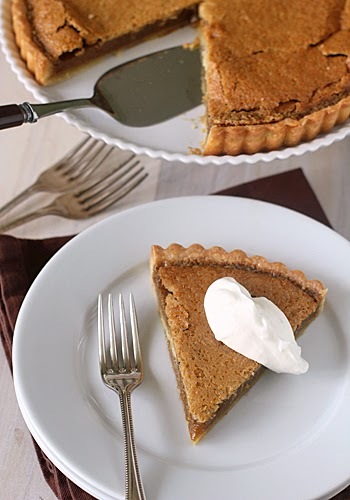 With its deep brown sugar flavor and browned butter nuttiness, a slice of this tart is perfect on autumn day. A dollop of whipped cream rounds out the flavor profile. Fritters. Say it again. Fritters. I love that word. You know that when someone says fritters, you are in for something good. Fritters can be found in a wide variety of combinations. 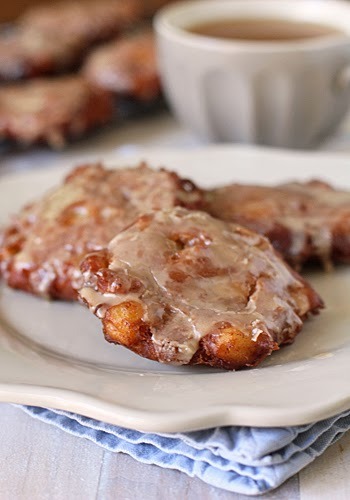 They can be savory, like beer-battered corn fritters, or they can be sweet, like these apple fritters. They can even be filled with meat or seafood like these shrimp beignets (ok these are called beignets, but they are basically fritters). But they all have in common that crispy, crunchy exterior and soft center. The original recipe called for cinnamon and nutmeg, but I opted to use my homemade apple pie spice. It adds a welcome dimension. Granny Smith apples are used for two reasons. While they maintain their shape through the process, they become soft once fried. One thing that can ruin the fried texture of fritters is excess moisture, so be sure to pat your diced apples dry before adding them to the batter. 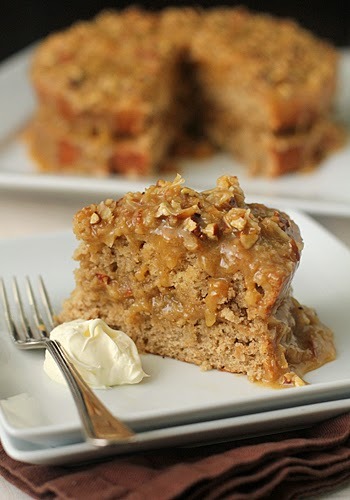 You'll note that the recipe also calls for apple cider in the batter and in the glaze to deepen the apple flavor. Please do not substitute it with apple juice. That would compromise the flavor. They are delicious on their own warm out of the fryer, but the glaze really seals the deal on these bad boys. 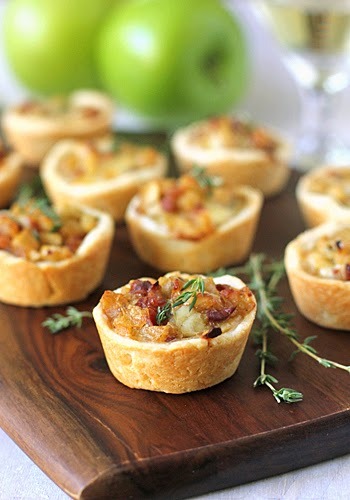 It sets up nicely, so that when you take your first bite, not only do you get the crispy and crunchy, you get a little sugar flakiness before sinking your teeth into the soft, apple studded center. Drool on the laptop. Good heavens, I need to go make another batch STAT! 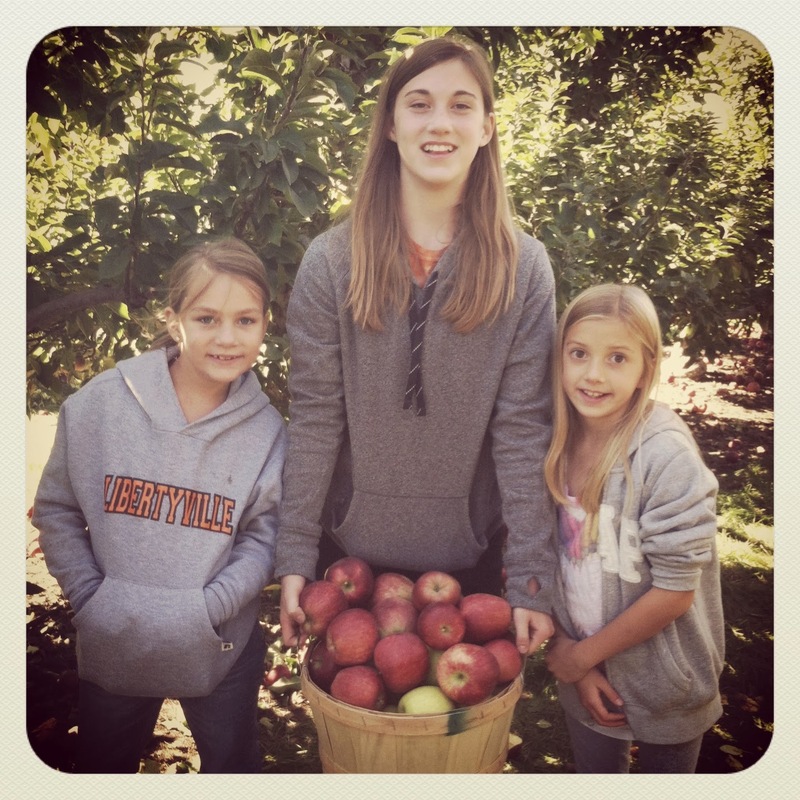 Apples, Carrots, Onions, and Butternut Squash...an ode to Fall in food terms. Seriously. When my middle daughter Emma took her first spoonful, she said "Mmmm...tastes like Fall". I couldn't agree more. The original recipe called for ginger, but I didn't want to over power the seasonal flavors of the root vegetables and squash. Instead, I added lemon zest to brighten the flavors and added some cayenne for a little kick. Some added fresh thyme for a subtle herbal flavor and a dollop of crème fraîche really rounds out the savory flavors. 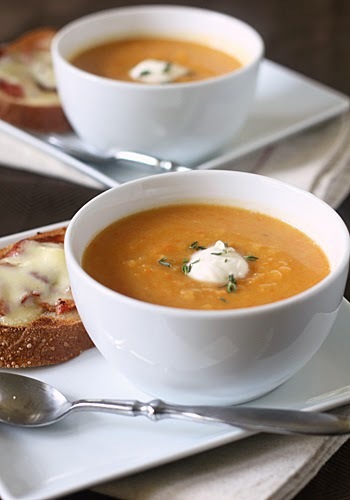 It isdelicious on its own, but I highly recommend serving the soup with bacon and melted cheddar sourdough toasts. So good!